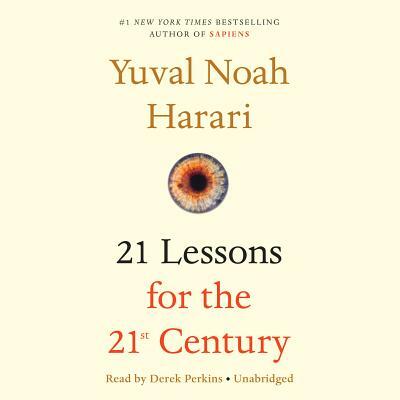 Born in Haifa, Israel, in 1976, YUVAL NOAH HARARI received his PhD from the University of Oxford in 2002, and is currently a lecturer at the Department of History, the Hebrew University of Jerusalem. Published in 2014, Sapiens: A Brief History of Humankind has become an international hit and is published in nearly 40 languages worldwide. It was listed on the Sunday Times bestseller list for over six months in paperback, and was a New York Times top 10 bestseller. In 2016, Harari published Homo Deus: A Brief History of Tomorrow, which was also a widely hailed international bestseller. He lectures around the world on the topics explored in his books and articles, and has written for newspapers such as the Guardian, Financial Times, The Times and the Wall Street Journal. He also offers his knowledge and time to various organizations and audiences on a voluntary basis.